Today is my 24th birthday. I didn’t want to make much of a big deal about it, but part of me wondered if this would be one of my loneliest birthday’s yet. God on the other hand didn’t forget about it; He has made this day a blessed one and it is only half way through so far. I woke up at 6AM for our daily prayer then rode my bike over to my Kung Fu class. I have started to learn another form of Kung Fu besides the Ip Man Wing Chun system called Black Flag (or Hek Ki Boen for those of you who speak Cantonese). 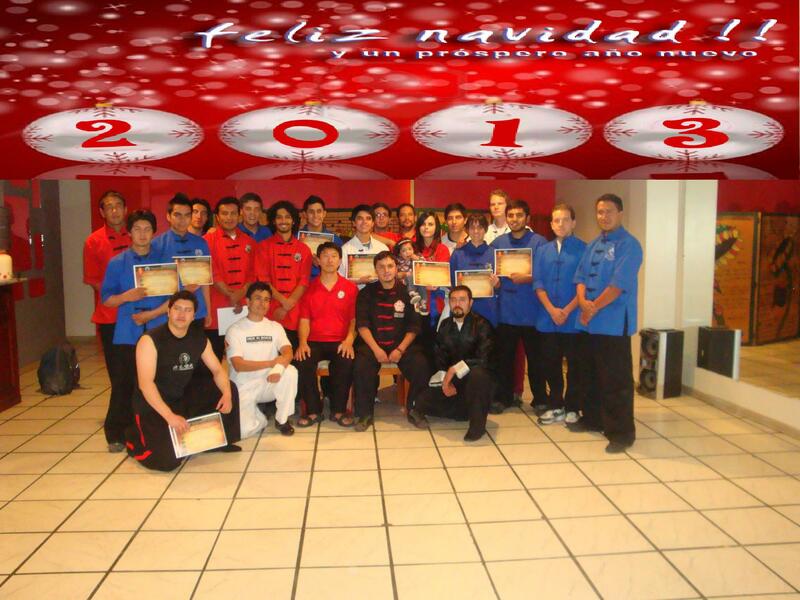 It is a much more powerful system but combines well with the Ip Man Wing Chun that I am already learning, not to mention both are taught by Sifu Oscar Choco. I didn’t have to pay much more to take the extra classes (80 dollars for a year, that’s the price of about one month in the states) so its a really good deal. It keeps me active and over half of my fellow students are Atheists, Agnostics or non-practicing Catholics. I have already seen a lot of opportunities to be an example and share the love of Christ with these guys. I’m the one white guy in the back, if you couldn’t tell. Also, as I have mentioned before I believe it is the duty of every Christian man to know how to fight. That might sound a bit controversial in some Christian circles, but I believe it is our duty to know how to defend ourselves and more importantly defend others. If you think that is wrong then I encourage you to take a look at the scriptures and see the overall character of God Himself. God is not a violent God, in fact He abhors violence and the man that practices it. That said though, He is known as the Lord of Hosts. He is the commander of legions of warrior angels and is Himself a warrior, but He only uses violence in extreme situations when no other options are left. In Psalm 68:5 it says that He is “a defender of widows” and in Psalm 82:3 we are encouraged to emulate Him where the psalmist states “Defend the poor and the fatherless; Do justice to the afflicted and needy.” To defend the poor and the fatherless sometimes requires more then just words, as the ancient king of Israel, David, knew very well. Ecclesiastes 3:8 says there is “…a time of war, and a time of peace.” In the context of Jesus reminding His disciples that He would soon be departing from them, and attempting to get them to start thinking in the lines of common sense, Jesus told His disciples “…But now, he who has a money bag, let him take it, and likewise a knapsack; and he who has no sword, let him sell his garment and buy one.” (Luke 22:36). So how do we balance this with the statements of the Bible such as when Jesus said “You have heard that it was said, ‘An eye for an eye and a tooth for a tooth.’ But I tell you not to resist an evil person. But whoever slaps you on your right cheek, turn the other to him also.” (Matthew 5:38-39). This is one of my inner struggles that I had for many years, being that my entire life I had wanted to join the military and it was because of this inner struggle that when I started to follow Christ I decided not to. How could I learn to kill, especially if I was forced to kill knowing that the one I killed likely did not know Christ and would go directly to hell? I took the path of the pacifist, dedicated myself to the study of the word of God in Bible College and put this very verse into practice many times. There is a balance to be sought though. The Word of God does not contradict itself. It balances itself. We, as Christians, are to be known as peacemakers and lovers of even our enemies. As God is. Yet, just as God does, there is a time for peace and a time for war. There is a time to fight and a time to surrender. The hard question is when and how. If God gives you a family it is your duty to defend your family, just as God defended His children Israel. There really is no easy answer to this question though, it will all come down to the individual conviction in that moment. Can the kingdom of God be advanced through your martyrdom, or is it your Christian duty to put a stop to evil when you see it, lest you be guilty of the sin for not stopping it when you could have? Those are questions you must ask yourself and they are not easy to answer. The point of Jesus teaching us to turn the other cheek is so that we would leave vengeance to the Lord, we are not to reciprocate the evil that is done to us. That does not mean you don’t defend your loved ones. So what am I getting at? Defending yourself and others is OK, more than that it is just and commanded by the Scriptures, but setting out to take vengeance on those who have done evil you is not. There should be no anger, no vengeance when we are forced by force to fight, rather it should be out of love that you do so. Right, that concludes my little rant. This month I also got the opportunity to help out as a translator for a day with a medical mission team from the States. I actually really enjoyed it and I think I may be doing more of it in the future. They asked if I would come back the next day, and I wanted to but was unable to make time to do so. I have a feeling though Unsion (the Christian TV channel that was organizing it) will be hitting me up more for things like that in the future. 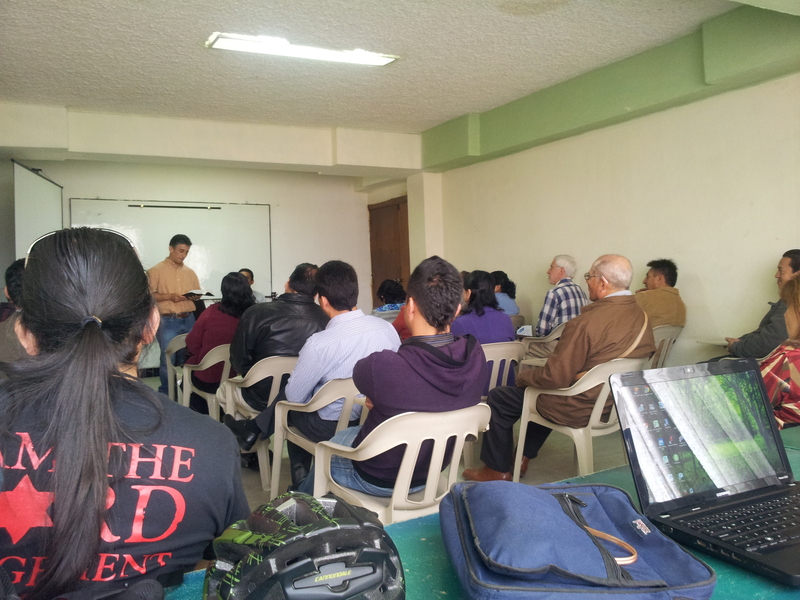 Not only that, I have also been attending a pastor’s meeting every Monday morning with Pastor’s from all over Cuenca. At first I really didn’t like it, since it is a very charismatic group and the majority are Pentecostal. That said though it has been good for me and I have had some chance to encourage them to be more loyal to the Word. 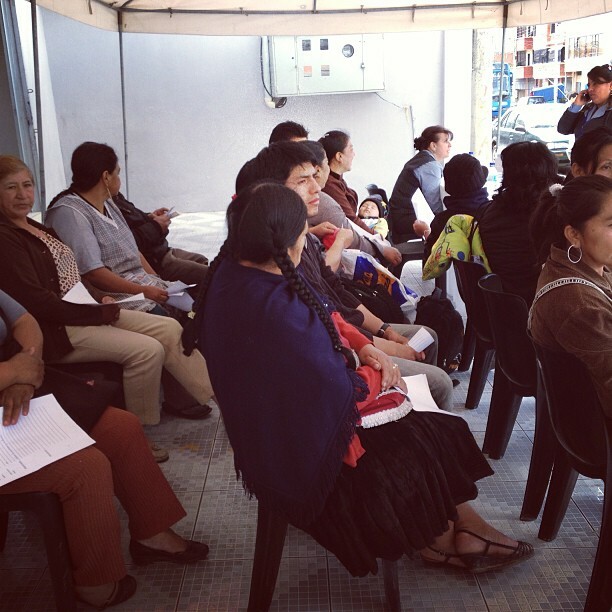 People in line waiting for the free medical clinic. They also were prayed for before they left. At the Pastor’s Meeting, Kleber the Worship Leader with the long hair sitting in front of me. Well a few weeks later and I was reading through my devotionals and the Lord showed me Acts 7:34 which says “I have surely seen the oppression of My people who are in Egypt; I have heard their groaning and have come down to deliver them. And now come, I will send you to Egypt.” So that’s that. The Lord is sending me to Egypt. 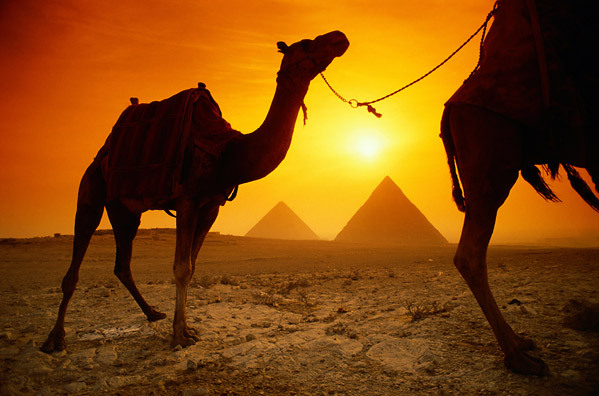 Basem and I sat down and planned out a 20 day trip where we will visit three cities; Alexandria, Cairo, and Port Said. My heart is to encourage the persecuted church there and to evangelize (obviously cautiously since you can get thrown in jail or worse there). Even though there is persecution and things have gotten a lot worse for Christians in Egypt there is still an open door there, and the people of Egypt need encouragement now more than ever. We are going to take a team from the English Service down there sometime this year (we are looking at around August-September). Please keep us all in prayer. Also, if the Lord lays it on your heart to help support the trip costs about 3,000 in all per person, so if you want to help send Basem, someone else on the team (still not sure who all will be on the team yet) or I and be apart of what God will do down there on this trip see the tab that says support on my blog or email me at matthewcamphuis@gmail.com. This year is going to be an exciting one and I am looking forward to all the things that God has in store. Some things that you guys could be praying for is that God would move on the hearts of all the foreigners here in Cuenca to come to Him (there are around 3-5k but we only have 20-40 that attend church). I have joined a Spanish Conversational Group for Gringos and have been meeting a lot of new gringos through that, so you can pray that the Lord opens the door to witness to these guys through that. Also, we are planning a “pound party” to raise food for in need families Feb. 2nd, but we will be doing it in a “gringo” restaurant in town which will be also somewhat of an outreach to all the extranjeros. Besides that I have it on my heart to plan some sort of retreat for the English Service that is a mix of good solid Bible Study and outreach in Ecuador (maybe some good beach time too!!!). I probably don’t say this enough, but I really do appreciate all the support that you guys give me. 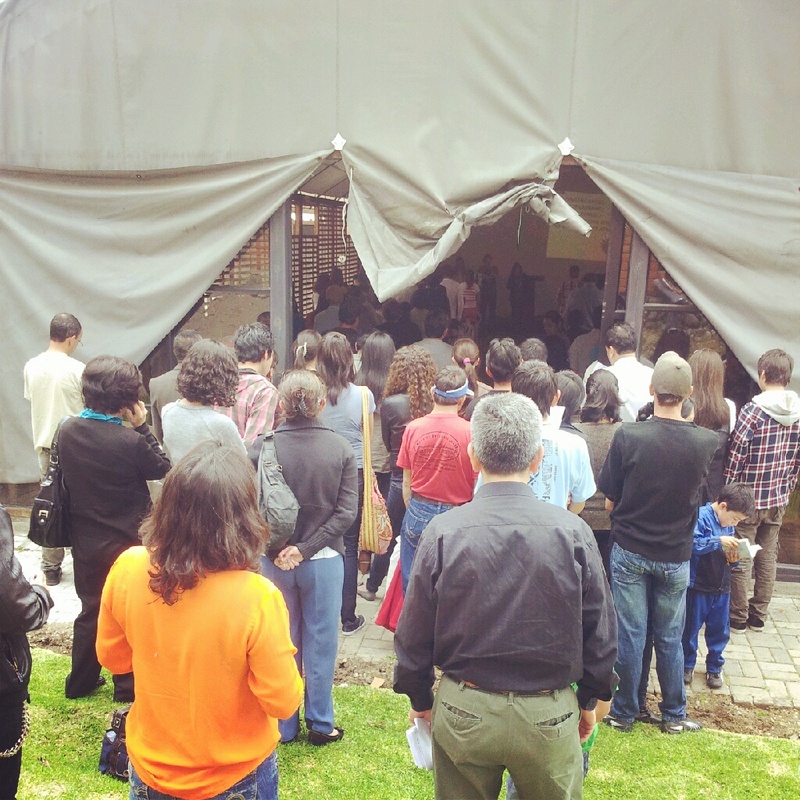 2nd Service in Spanish, it was amazing to see it overflowing. Abortion clinics are killing defenseless babies. We’ve pleaded for fifty years to stop it. Please give me a good biblical reason we shouldn’t be doing something more about it than just speaking words. Well, what exactly do you mean by more than just words? Using whatever measure of force necessary to stop abortions. To me, I feel it should be handled no differently than if I were protecting some one else from a life threatening situation. For instance, if I knew my neighbors were gone and left their teenage children at home, I saw someone break in who was armed, I wouldn’t think twice about marching next door and using whatever measure of force necessary to intervene in a life threatening situation on behalf of out the matched teenagers. Hey Matt, I don’t know you at all, and I know you wrote this a few years ago, but I read it today and was really encouraged. I’ve been struggling with the concept of defending people/oneself versus suffering for Christ and turning the other cheek, and what you said helped me understand what God calls us to do. So thank you. It is a hard concept to understand. And as I wrote about in my blog post it is one that I too have struggled a lot with. Something that has also since then helped me to understand it is underlying principles about the character of God. God is love (1 John 4:8, 16). But God is also a just judge, and angry with the wicked every day (Psalm 7:11). As I mentioned the Lord is also known as the Lord of Hosts, and in the book of Revelation we see the Christ riding on a white horse as a conqueror bringing the judgment of the Lord. We are told to buy a sword, but still vengeance is of the Lord and we are to love our enemies. All of these characteristics should be considered when understanding Jesus’ statement to turn the other cheek. I think, as I said before, the lesson there is to not act out of vengeance or anger and that our first instinct should be to overlook wrongs. But a slap to the cheek and a sword thrust to the chest are very different things in my opinion. If someone wants to slap me, then it would be a good idea to overlook that and continue to try to show love. But if they try to murder me, or murder someone I love, then it would be unjust of me to not try to stop them (especially if I have the ability to do so). So, it is a hard question and a hard thing to understand and even harder to do. How can you love your enemy? How can you love your enemy and still have to be able to defend the defenseless (even to the point of possibly having to kill, though not murder)? It is only possible through an attitude of the heart and the power of God’s spirit living inside of you. If you have God’s spirit inside of you and you are yielding to Him, then He will teach you in that moment what you are to say and what you are to do. God’s spirit is love, but it also justice. Hopefully this helps. And God bless you!